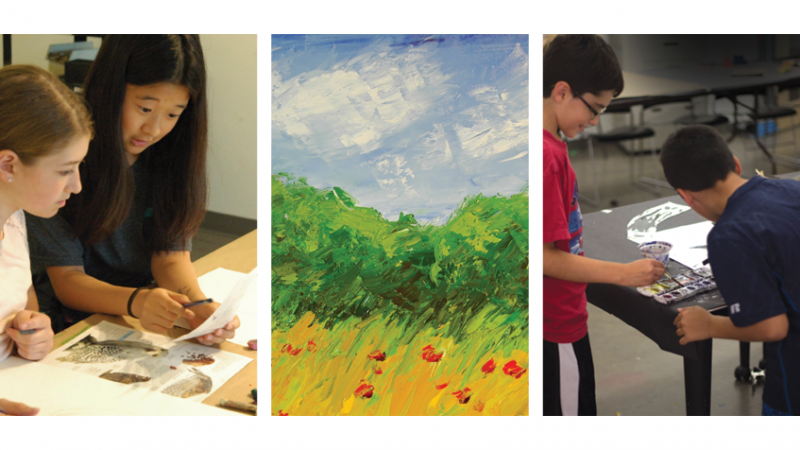 In visual arts camps, students explore skill-building and techniques including proportion, angling, perspective and composition. Elements of art (line, form, shape, value), Principles of Design (pattern, contrast, balance) and Color Theory. Critical thinking and strategy, teamwork, solution-finding, hands-on experimentation and exploration are encouraged in technology camps.